Imagine that you have just watched a beautiful sunset from the top of Cerro Paranal. As the Atacama Desert silently fades into the night, ESO’s Very Large Telescope (VLT) opens its powerful eyes on the Universe. With this spectacular 360-degree panorama, you can imagine the view that you would have if you were standing there, near the southern edge of the VLT’s platform. 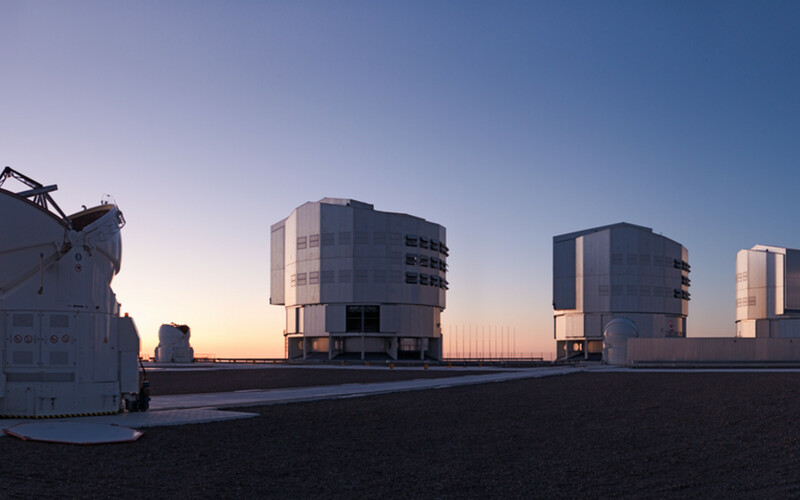 In the foreground, the fourth of the VLT’s Auxiliary Telescopes (AT4) is opening. To its left, the Sun has already set over the Pacific Ocean — covered by clouds below the altitude of Paranal, as usual. 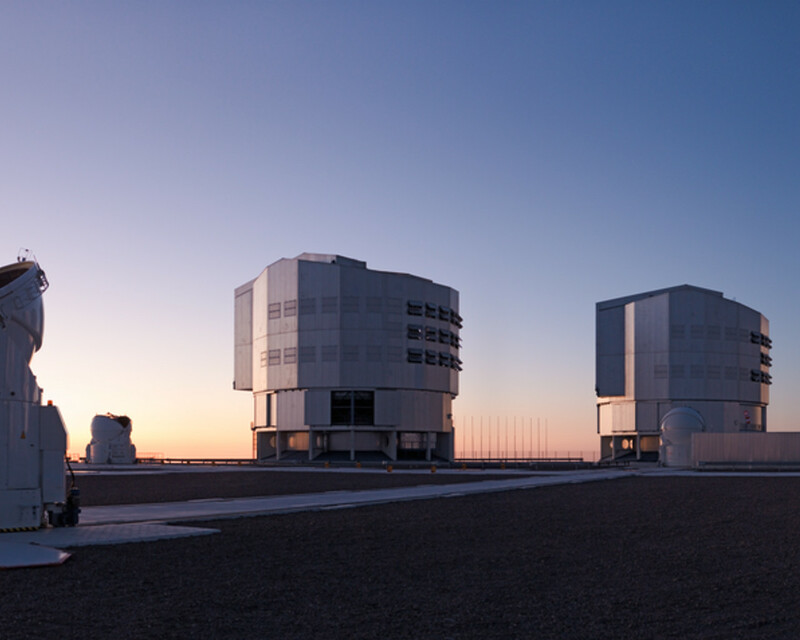 Across the rest of the platform, the other three Auxiliary Telescopes are seen in front of the large buildings of the four 8.2-metre Unit Telescopes. Finally, the Residencia and other basecamp facilities are also visible a little distance away, near the right-hand edge of the picture. As the night begins, imagine that you are immersed in a deep silence, barely interrupted by the wind or by the smooth movement of these giant machines. 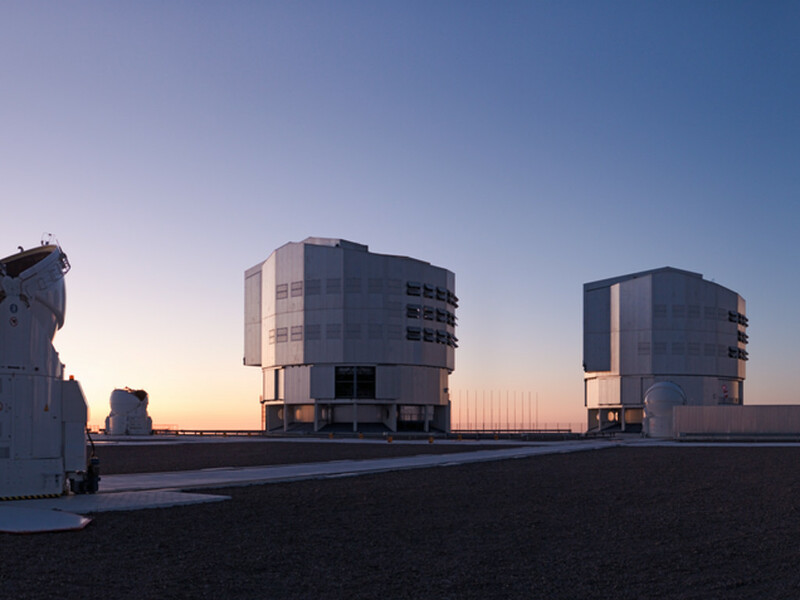 It is hard to believe that intense activity is going on in the VLT Control Building, located on the slope of the mountain just below the level of the platform, in the direction of the setting Sun. There, astronomers and telescope operators are starting the first observations of the night.